H. Rick Bamman - hbamman@shawmedia.com Guests at Wilmot Mountain ride one of the chair lifts on opening day Wednesday, Dec. 14, 2016. 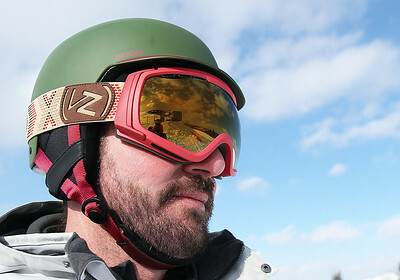 The ski area under went a $13 million renovation over the summer. 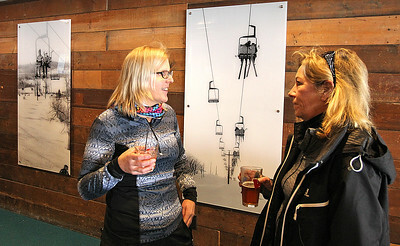 H. Rick Bamman - hbamman@shawmedia.com Wilmot Mountain guests Wendy Hinz (left) of Twin Lakes, Wis and Terry Matusek of Antioch talk in the renovated bar area featuring vintage photographs of the facility that opened in 1938. 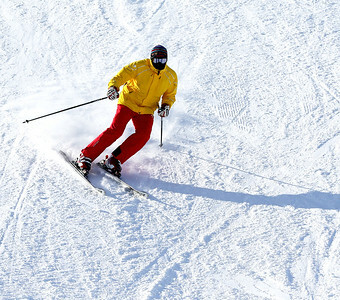 H. Rick Bamman - hbamman@shawmedia.com A skier makes his way down one of the runs at Wilmot Mountain ski area on Wednesday, Dec. 14, 2016. 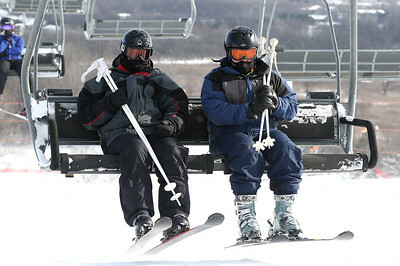 Wilmot Mountain opened for the season after a $13 million renovation over the summer. 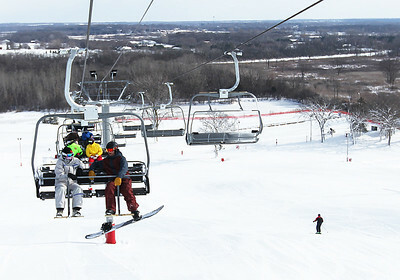 H. Rick Bamman - hbamman@shawmedia.com Skiers arrive at the top of one of the hills that opened at the Wilmot Mountain ski area on Wednesday, Dec. 14, 2016. H. Rick Bamman - hbamman@shawmedia.com Wilmot Mountain general manager Taylor Ogilvie inspects the hills after the ski area opened for the season on Wednesday, Dec. 14, 2016. 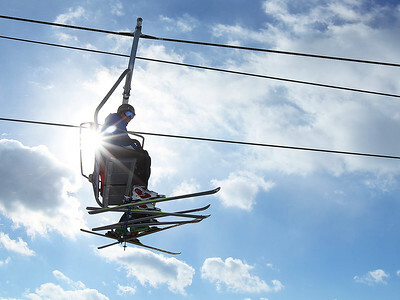 The ski area under went a $13 million renovation over the summer. H. Rick Bamman - hbamman@shawmedia.com Skiers enjoy the day at Wilmot Mountain ski area on Wednesday, Dec. 14, 2016. After a $13 million renovation over the summer, Wilmot Mountain opend for the season on Wednesday.